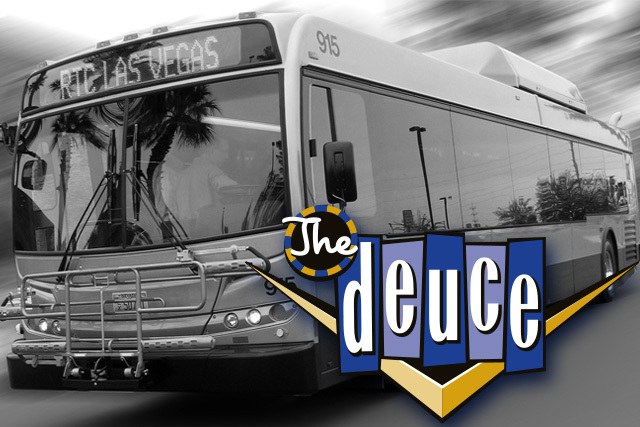 The Deuce is Las Vegas’ aptly named public transportation system on the Strip. It was launched in the fall of 2005, and is part of the Citizen’s Area Transit (CAT) in Las Vegas. 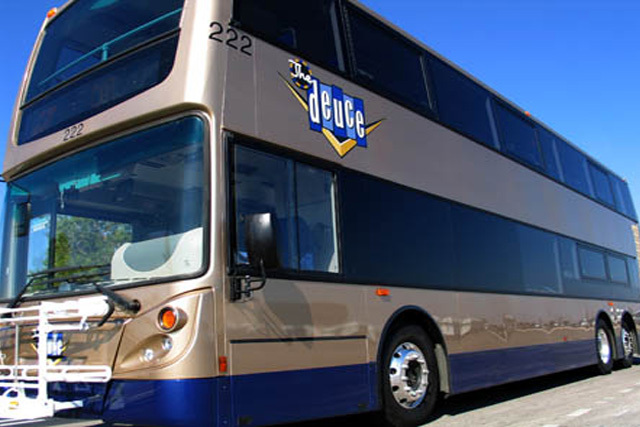 The Deuce is an economical way to get up and down the Strip, and each Deuce bus can accommodate 97 people. It’s even a good choice ecologically. It accomplishes this feat because The Deuce is a spacious double decker bus. Because its name has a touristy sound, it would be easy to think that only tourists use The Deuce, but not so. It runs 24 hours a day, seven days a week to transport both tourists and locals. The Deuce uses an off-board collection system for tickets, which is a fantastic advantage of Deuce transportation over other forms of transit. Buying tickets and making the correct fare is hassle free when you use ticket vending machines. These machines are known as TVMs and are located at select stations. Some examples of these locations are Slots O Fun and the Coca-Cola Showcase. The Las Vegas Convention Center, as well as the Deuce’s transit terminals, also has TVMs. You can get tickets for MAX, CAT, and Deuce systems. I realised I had to buy a car after trying to transport with public bus. I waited too long and I had to change the bus and keep paying for the second and third transfer for the destination, so it cost money too unless you have monthly pass which is 64 dollars for adults. Its not a reliable transportation but better than nothing.